English Description : Create moveable menu for web page navigation. 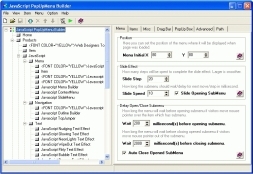 Script can be customized highly and easily by using Script Configuration Program. You can define text, font, color, URL and more for the script. You don"t need to write any code by yourself. 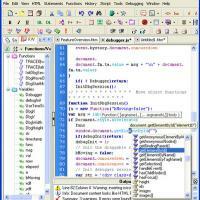 Script Configuration Program will generate it for you. You can preview the script in your favorite web browser without quitting the program. All relative files that you need to upload to server will be saved along with the project file so that you can easy to get them and publish them to Internet. A detailed document will help you to master anything about this script.